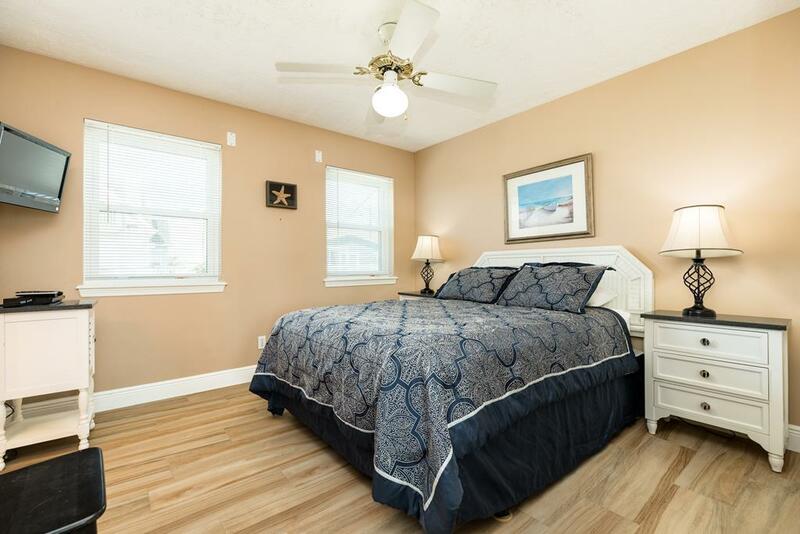 Bright, affordable, pet friendly & beachfront! 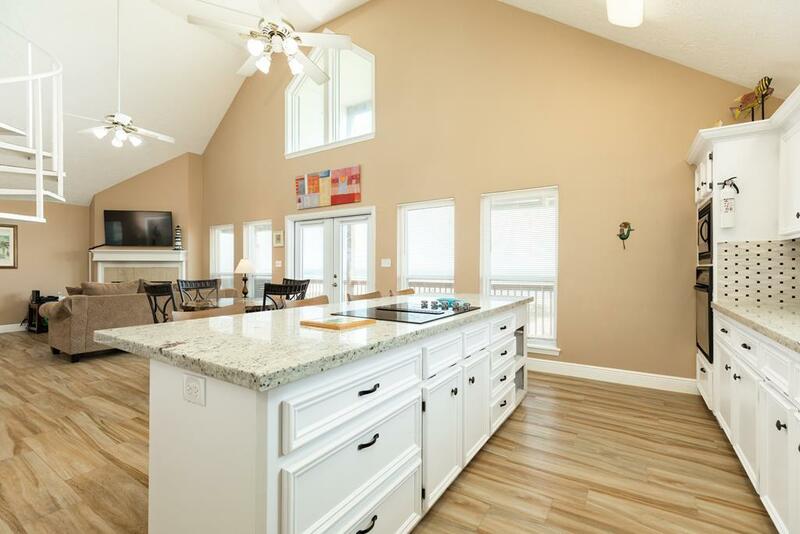 Vaulted ceilings and plenty of windows frame the Gulf view and take advantage of the natural light. 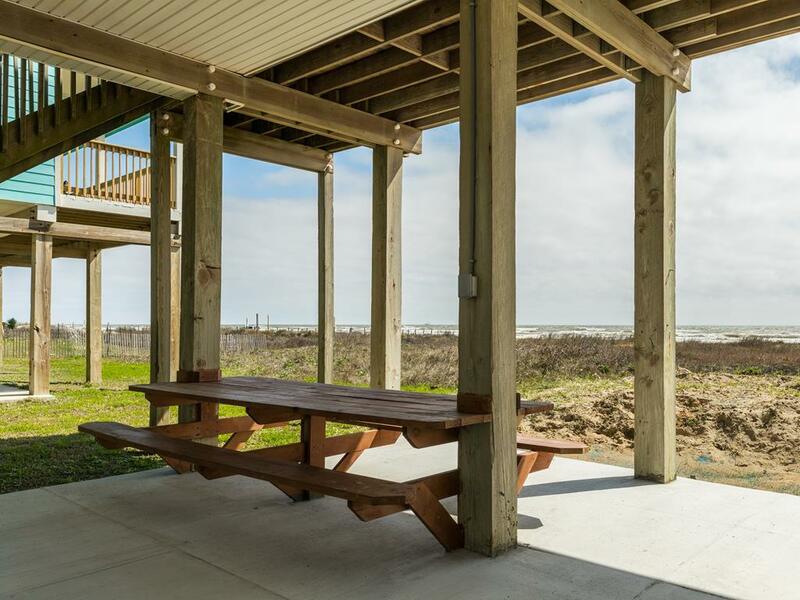 Curl up in front of the fireplace in the open living area & enjoy dinners of fresh Gulf seafood prepared in the well-equipped kitchen. 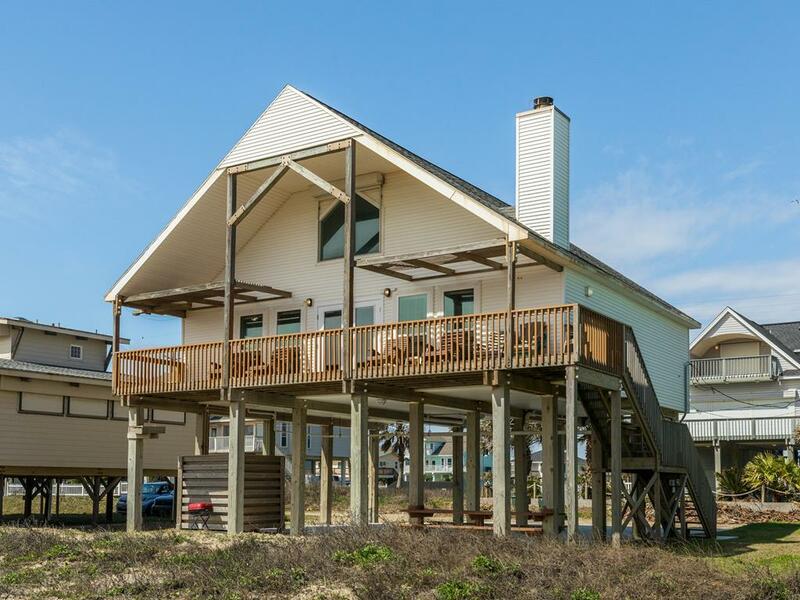 Ideal for couples, the two main level queen bedrooms share a full bath, and the king-size master bedroom with a great Gulf view and full bath is secluded in the loft, accessible by spiral staircase. The beach is mere steps away! NOTES: Loose sand conditions in the area can make house access difficult at times. 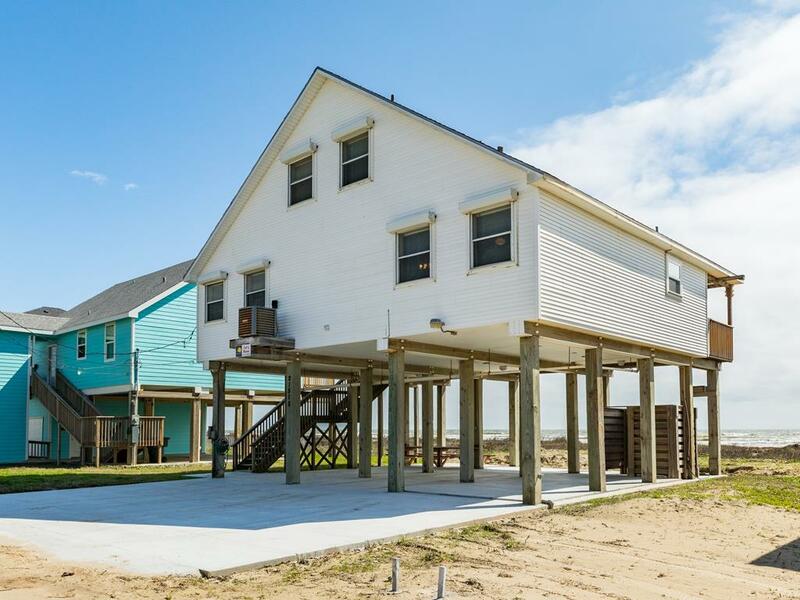 Additional parking is available at the beach access located 3 properties away from the home. 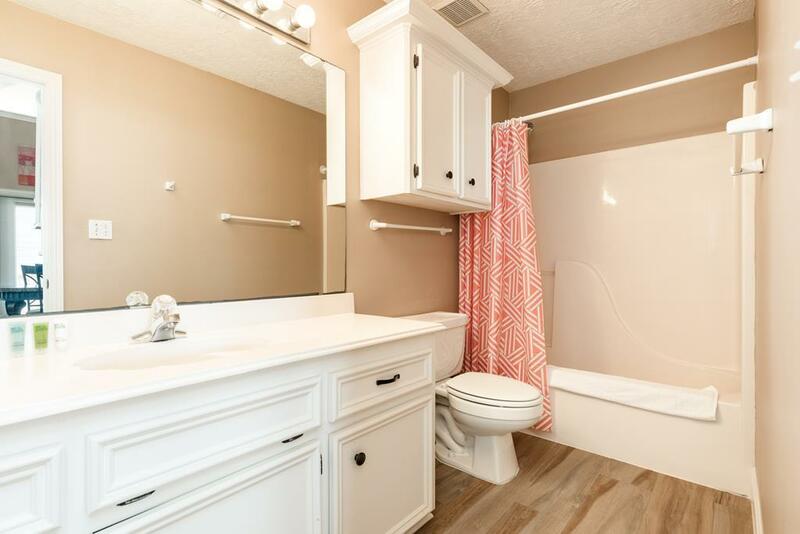 Check the 'Amenities & Beds' tab to see all amenities for this property. 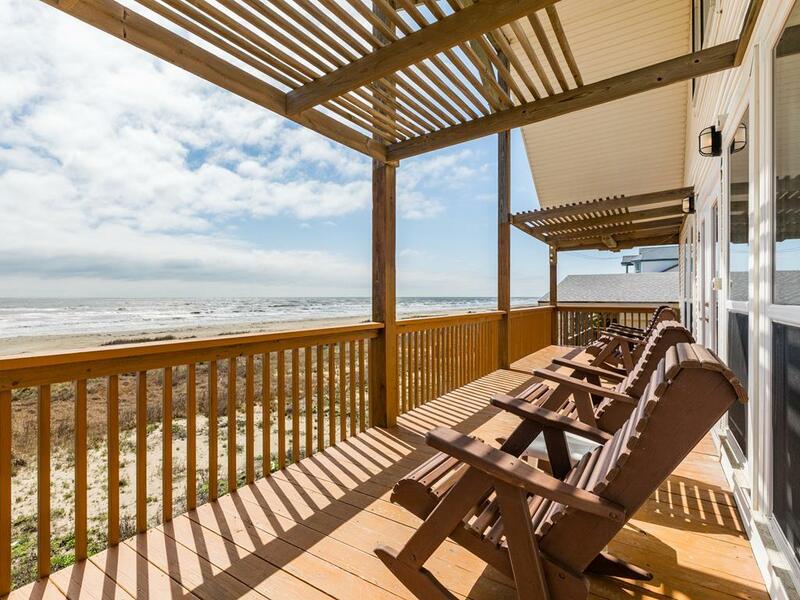 Sand `N Sea Properties offers vacation rentals on West Galveston Island - beachfront, canal and bay front homes - as well as real estate sales in Galveston's Historic Districts, on the beach and everywhere in-between. House is very comfortable and clean. The location is superb -right on the beach. The walkover is right at the house. We loved it! This is a great property. 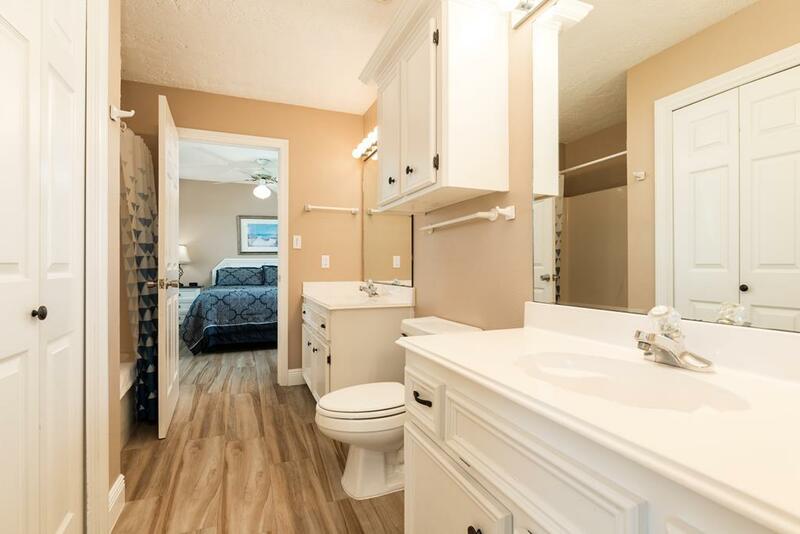 It has all the conveniences we needed to have a relaxing stay. My friends and I love to cook and really enjoy how well stocked the kitchen utensils are and the open layout creates a fun environment. Of course, being able to chill on the deck and easily walk to the beach is priceless. Very nice beach front home. Great beds and kitchen. Roomy lower deck picnic table and grill. The beach is very close. The house needs a full coat of paint. Several appliances need to be replaced. It definitely needs a very good deep cleaning. The stove top and vent were horrible. The microwave has huge rust spots where the inside has peeled away. The bathtub stoppers were black. I’m sorry to say the owners haven’t taken care of this property and we definitely won’t stay here next time. We are sorry that Cat's Meow wasn't everything you expected it to be! Please don't ever hesitate to call our office during your stay if there is something we can do to help. We would have been happy to replace the microwave & tub stoppers or have housekeeping come back out to re-clean the kitchen. It is right on the beach and very clean. This was the second time my daughter and I have stayed at Cat's Meow and we enjoyed the house very much both times. 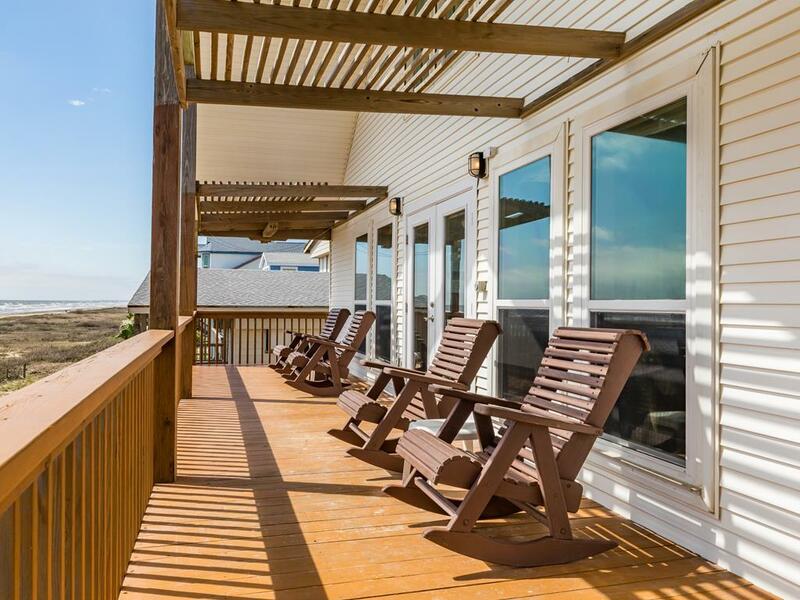 I think the only minor wish that I have is that I would love to see a small table on the covered deck 'cause it would be so wonderful to comfortably eat meals up on the deck with the wonderful Gulf view! Great property. We had high tides while we were there and it flooded the pathway to the beach, but we made due. The oven was not working when we got there, but sand n sea made us aware of this and had placed a toaster oven and a turkey toaster in the house, and they worked great! Perfect location, directly on the beach, with nice internal layout. There were nine of us, two couples in their fifties, and five 20-somethings, our daughters and their closest girl friends. Ample space to sleep, sit on the deck and read or catch up or soak up the sun, and lovely walking options right in front of our door step. 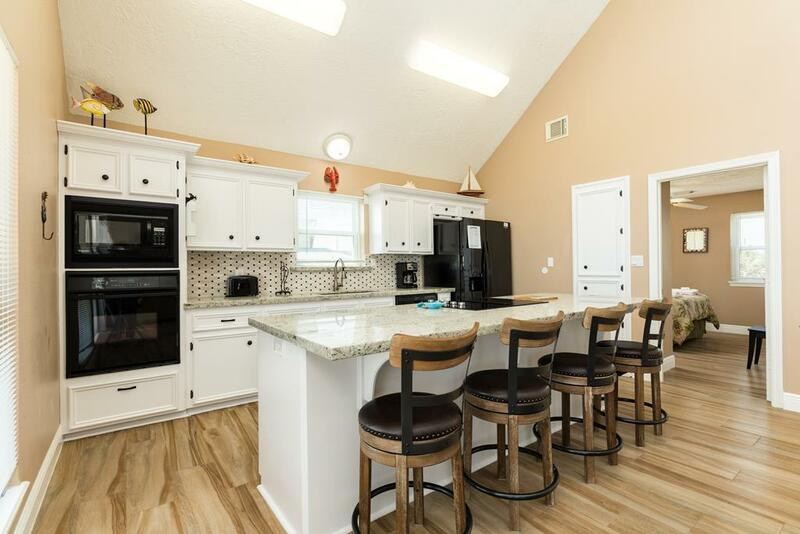 Would be nice for the owners to consider giving it a fresh coat of paint, we missed having a large dining table to all sit around for mealtimes, and the dish washer and oven were both tricky to operate and not always 100% functional. Having said all this, being able to bring our 2 year old dog with us and encourage a free schedule for all in this lovely setting, was a treat. We are glad you all enjoyed your stay! Our Property Services team is on-call 24/7 and is always happy to help with any unexpected mechanical issues. Just give our office a call! We have used Sand N Sea many times and we have never been disappointed, including times when we experienced issues at the property. The Cat's Meow wasn't really the home I originally wanted but all others were booked and I'm so happy! It is a lot smaller than what I usually rent but we had less people so it worked. I thought it was perfect! Very clean, set up nicely, most comfortable bed I've had in a rental, the kitchen had everything we needed and more. The staff was so attentive and kind. We even had a small toilet backup the first day but that was fixed almost immediately and we never had another issue. It rained most days we were there but that didn't spoil our experience because the home was so comfortable. We binge watched some shows. watched some movies and did puzzles. I was soooo sad to leave! I would love to own this home! Thank you for a great vacation, we were all sad to leave. This house was perfect for our needs. Comfortable and well equipped. There are some noticeable repairs needed, however. 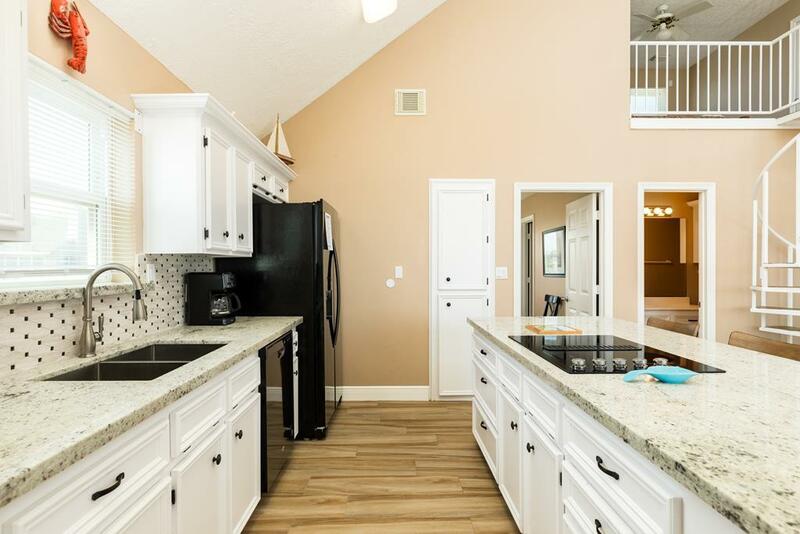 This house was really nice and the kitchen is the best stocked I have stayed in. Having 3 bathrooms came in handy. Out the door and on the beach was really nice no sand in the car. We really enjoyed our family stay here. Everything was wonderful. thanks. Save your money. Choose another property. The staff of Sand 'N Sea is super to work with, but this house needs to be removed from their rental program. So disappointing. Hello Ms. Roehrick - Thank you for your honest feedback! Our team would love to help you find a home that has all the amenities you are interested in for your next visit - just give us a call! Nice little beach house on the west end of the island. Perfect place to stay if you want to stay away from the crowded seawall area. Seems this part of the island attracts all those who are here for the peace and quietness of a vacation. Cat's meow was clean, comfortable and had great view of beach. We will definitely try to come back to this property. Use the storm shutter on the second floor window for more privacy. We had a wonderful time at this house. It was exactly like the pictures on the website......we have rented 3 different houses in the past and have never never been disappointed!!!! 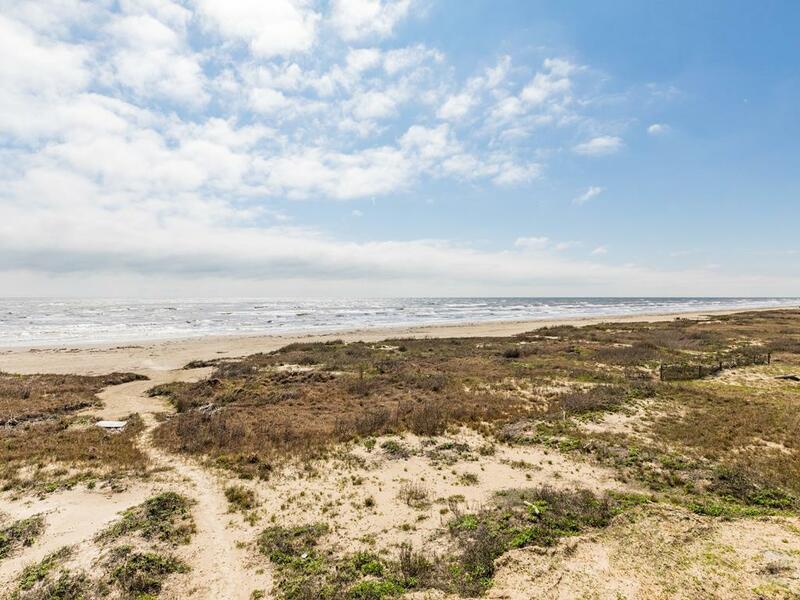 For a nice, relaxing time on the beach in Galveston, October is perfect! The Cat's Meow proved to be an excellent property - Right on the beach, clean and well maintained - Very convenient to the West End Restraurant ( excellent ) Great place for a relaxing week on the beach. As always we had a wonderful experience from check in to check out. The entire staff is very friendly and helpful. I wish I could remember the names of everyone for personal recognition. Thanks to the owner for sharing his/her home especially since it is pet friendly. The Cat's Meow is an Awesome place to stay!! Beautiful view from the upstairs master bedroom in the morning!!!! Sand n Sea employees went beyond the call of duty to make sure we felt at home. Thanks again! We WILL see you next year for the LoneStar Rally!!!! The property was exactly what we expected based on the website information. 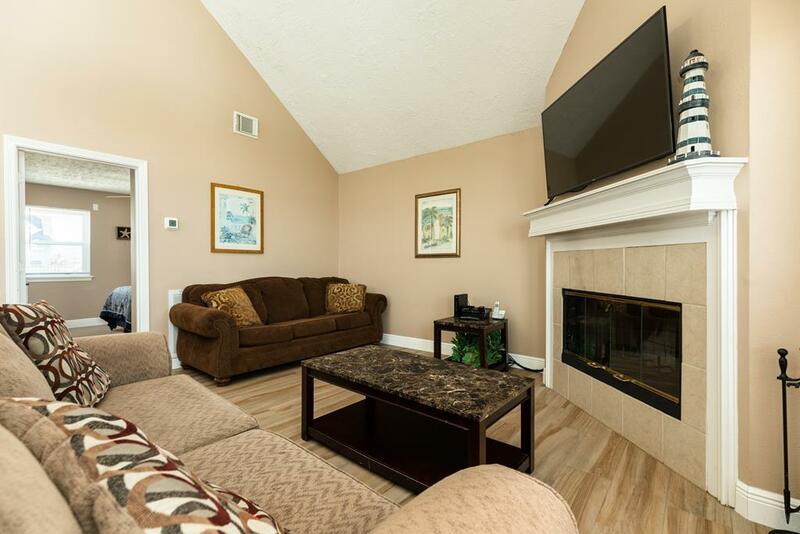 Accommodations were in good shape and the property was very clean. 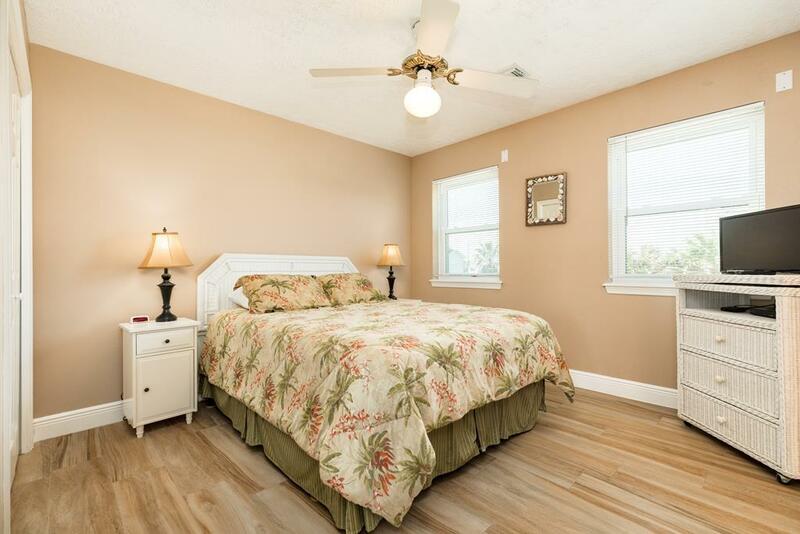 Great property, close to beach, quite, and clean. We had a great time at Cat's Meow. 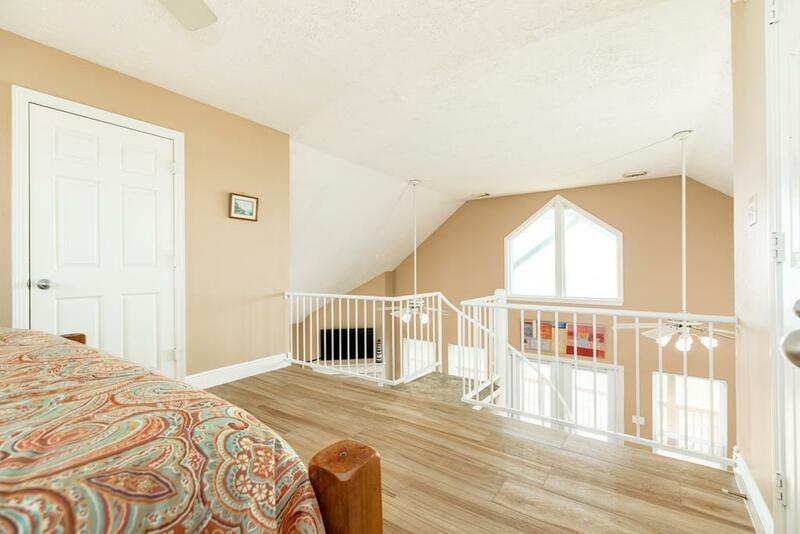 The kids loved sleeping in the loft, and had a ball with the spiral staircase. The newly renovated bathrooms were a pleasant surprise, though the kids preferred to shower downstairs in the cool outdoor shower! Have enjoyed Sand N' Sea rentals for many years and will continue to do so. beautiful home. the view is outstanding. home away from home. lovely. This is a simple, beautiful house; very comfortable; furnishings are not overdone; very clean; seems like a home-away-from-home. 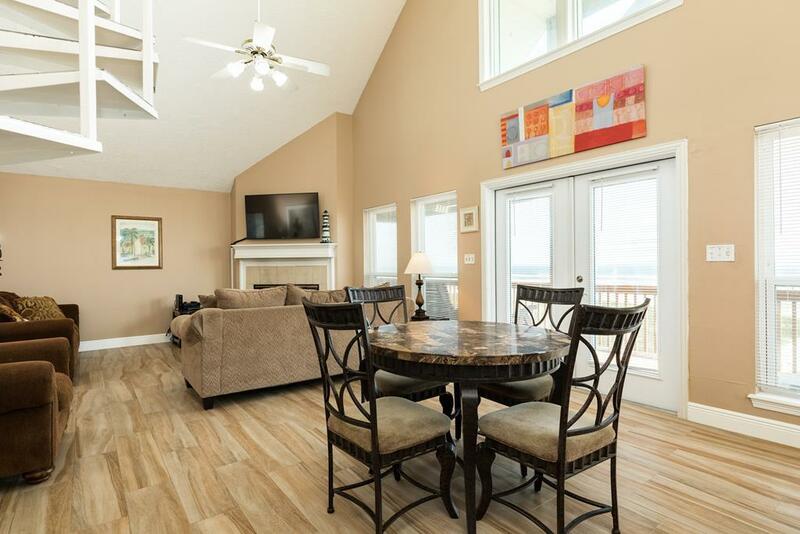 The Cat's Meow is an excellent beach house for families and those traveling with a pet. 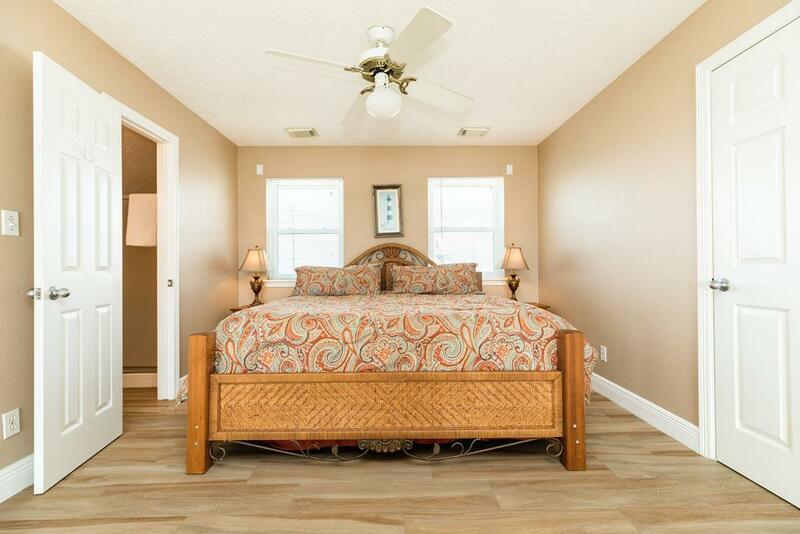 It's beachfront location makes it ideal for those wishing to be near the water with an unobstructed view of the Gulf which is easily accessible. 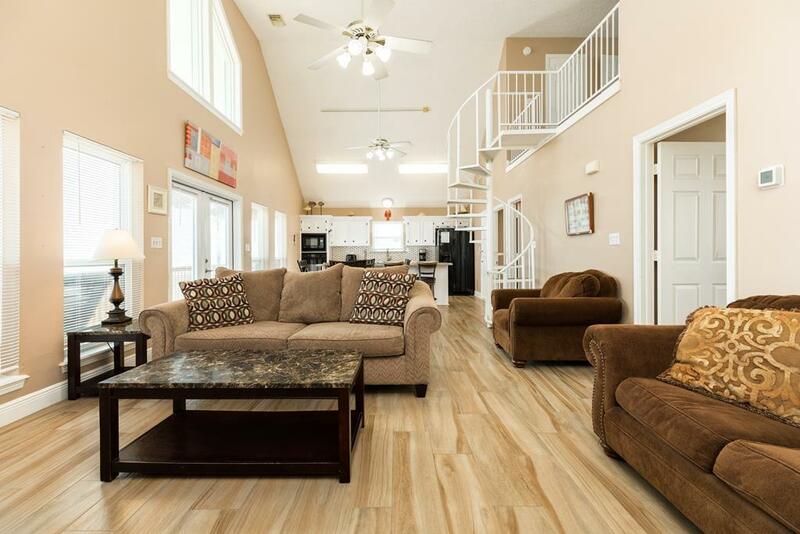 This house is very comfortable with all of the conveniences of home with the exception of some of some minor TV cable and cell phone reception restrictions. We would definitely entertain the idea of a return visit in the future. We spent four nights and enjoyed our vacation VERY much! Having three full bathrooms was a plus, and the towels were plentiful and fluffy! The great staff at Sand 'n Sea made the reservation and check-in process smooth and professional. Beautiful house, great location, nice & quiet beach during the week. 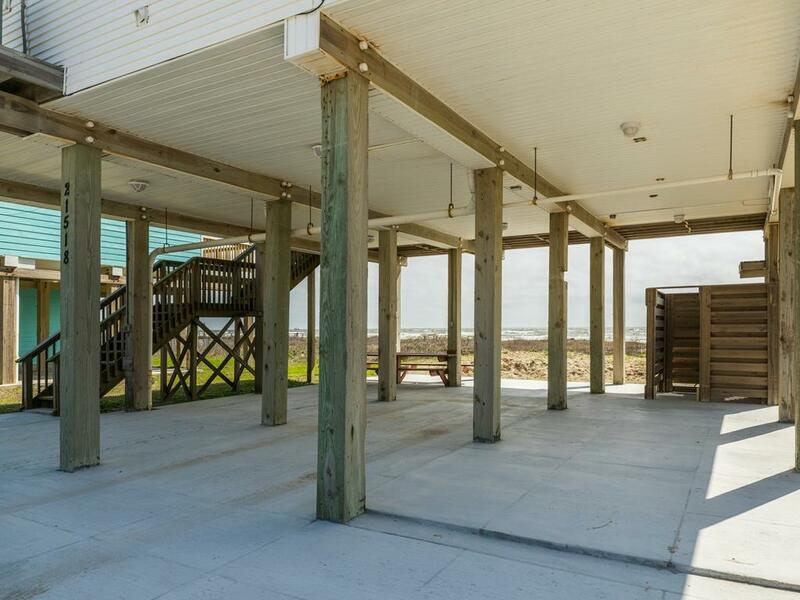 Great property...close, clean beach access...great large picnic table and shower downstairs. 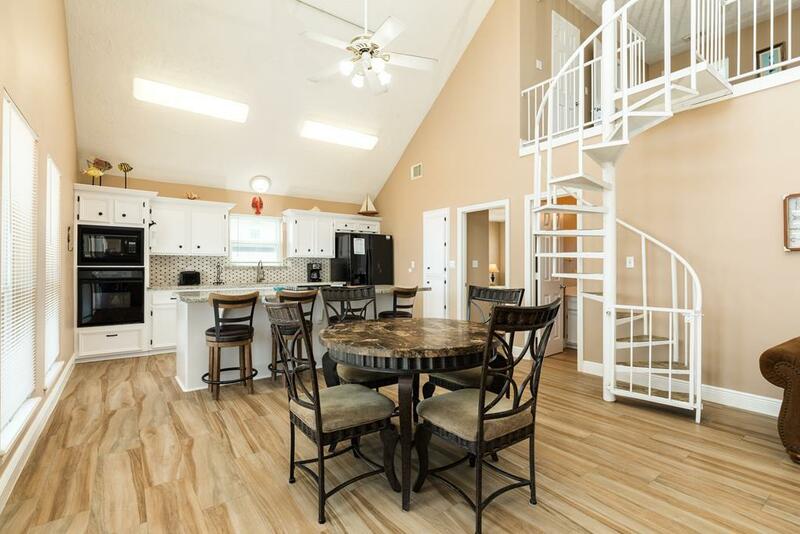 It is not new or fancy but our idea of a "beach house"...open and airy with large spaces...great to have fun bath off large living area for two queen sleeper sofas and day guests. The upstairs loft was great and stayed cool, too! 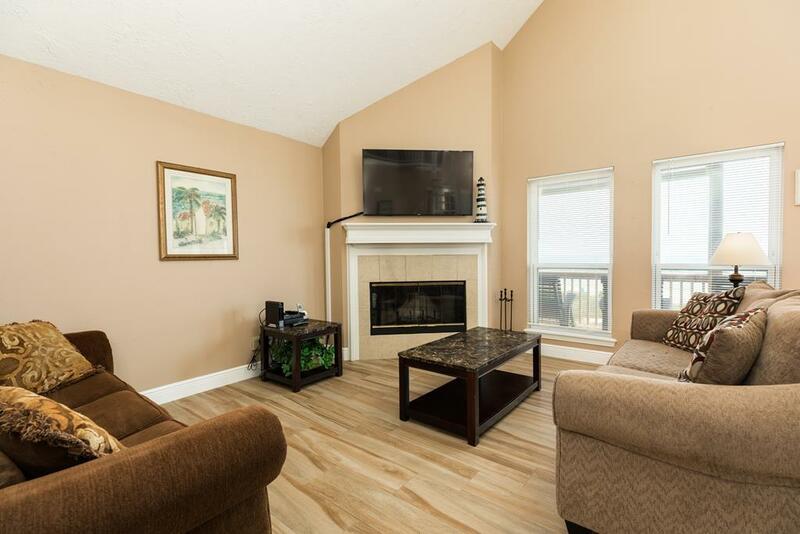 We were 3 couples plus an 18-month old and were very comfortable with the space of the house. The king size bed upstairs in the loft was too hard but the 3 bathrooms were a great asset. The beachfront location was wonderful too.